In an interview, Virk points out interestingly that the thesis comes in two forms. The first version of the idea, at least, would seem to be self-refuting, as neuroscientist Michael Egnor has noted here in the past. Thoughts are intentional, in the sense that they always point to something – to a concept, to an object, to a person, etc. Our thoughts always have an object (conceptual or physical) to which they are intrinsically directed. Our thoughts always mean something. So are we living in a computer simulation? As I noted above, meaning is precisely what computation lacks. The most fundamental human power – the power of thought to have meaning – is just what a computer simulation cannot do. That would seem to answer decisively Virk’s first version of the simulation theory. 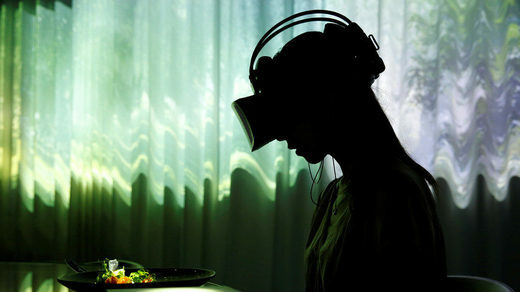 But the second, basically a highly persuasive virtual reality, may be a different story. Like Adams, I’m given pause by how often stories in the news, especially the names of figures in the news, are so perfect, “on the nose,” or ironic that it appears to show the hands of the simulators. Or, simulation theory aside, it could also mean that the intelligent agent responsible for the design of our “base reality” has a sense of humor, which seems highly likely.